Whether choosing an engagement ring, celebrating a special occasion, or simply treating yourself to a beautiful accessory, diamonds really are a girl’s (or a guy’s!) best friend. Loose diamonds come in all shapes, sizes, and they’re all beautiful. One popular shape for a diamond is a square cut. The Asscher cut is one of the more sought after square shapes due to its unique and vintage feel. If you’ve ever considered an Asscher cut diamond for a piece of jewelry and want to know what makes it special, then look no further! You can find everything you need to know about this beautiful cut here. The Asscher cut diamond was first created and patented in 1902 by Joseph Asscher of the Asscher Brothers of Holland’s Asscher Diamond Company. 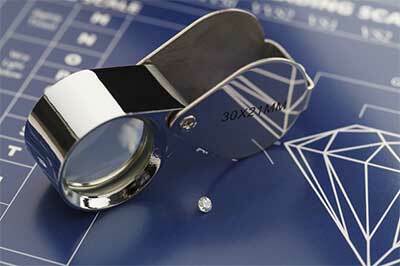 The company would later come to be known as the Royal Asscher Diamond Company. Although it was first created in 1902, it really gained popularity in the 1920s, as evidenced by the style of much of the diamond jewelry of that time. It fit perfectly into the popular Art Deco fashion of the time. However, they reduced in popularity, especially after the Great Depression, and did not come back into fashion until the early 2000s, about 100 years after it was created. At this time, modifications were made in the original design, giving the Asscher cut more brilliance. While the original Asscher cut contained 58 facets, the Royal Asscher Diamond Company updated the shape in 2002, giving the signature cut more facets, 74 to be exact. This added to the vibrancy of the diamond. Now it is one of the more sought after diamond cuts among those seeking unique pieces of diamond jewelry, particularly engagement rings, stud earrings, and tennis bracelets. An Asscher cut diamond features a flat table, large step facets, and a high crown. Most notably, the shape of the Asscher cut is square. The corners are truncated (or cropped), meaning it is technically an octagon, but when the stone is set, this is not even noticeable. When considering the shape of an Asscher cut diamond, most people will wonder how it differs from the Emerald, Princess, and Cushion cuts. All three of these are similar in shape to the Asscher cut. Let’s look at all three. The Emerald cut and Asscher cut are similar in that they both contain a larger table and linear facets, giving them a less tad bit less light dispersion, but still they possess a brilliant and unique look. The Emerald cut has 58 facets, just like the traditional Asscher. However, the Emerald cut is a rectangular shape, while the Asscher is a square. Both called step cuts, they offer a “clean lines” type of sparkle. An Emerald cut will typically have a ratio of between 1.50 and 1.75 between side lengths. The square Asscher cut is typically closer to 1.00, although any diamond with a length ratio of below 1.06 will look square to the naked eye. If you have heard an Asscher cut diamond referred to as a “Square Emerald cut,” that is simply because this is often how the traditional 58 faceted Asscher is often referred to. However in trade speak, a traditional Asscher cut has a higher crown angle and a slightly smaller table vs. a square emerald cut. To the eye, a square emerald cut will look flatter in appearance and the Asscher cut will have a little more depth giving it a little more vibrancy albeit a slightly smaller appearance. The trade off is usually size for sparkle. The Princess cut is a shape that gained popularity in the 1960s, due to it’s brilliance. While the Princess shape is square, like the Asscher cut, it looks significantly different because its facets are arranged in a completely different way from an Asscher cut. For this reason Asscher cut diamonds often pair well with a more vintage, architectural feel, as opposed to the more brilliant sparkle of modern cuts. This classic cut, which has been around for around 200 years, has come back into fashion as improvements have been made on the original design. The cushion cut features a square, or sometimes slightly rectangular, shape, with rounded corners, giving it the look of a pillow (or cushion), hence its name. Like the Princess cut, the cushion cut diamond features facets that are arranged in a nonlinear fashion, which in combination with its softer outline sets it apart from the Asscher cut. 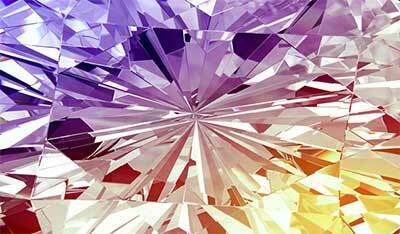 However, the faceting on a cushion is different from the Princess cut in that the facets look larger and the cutlet is more open. Like the Asscher cut, the cushion cut has a more vintage look, although the two differ significantly in style. When choosing your Asscher cut diamond, it’s helpful to know the different parts of the diamond, and what to look for from a jeweler when selecting your piece. The Table: The table is the largest facet of the diamond, the flat surface on top of the diamond. The Crown: The Crown is the portion of the ring just below the table, and just above the girdle. 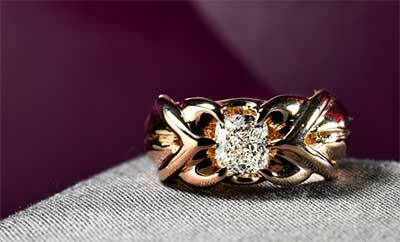 The Girdle: The outer, widest edge of the diamond, which forms a band around the stone. The Pavilion: The lower part of the diamond, directly below the girdle, which tapers to the cutlet. The Cutlet (pronounced cue-let): When the diamond-cutter decides to create a tiny flat facet on the bottom of the pavilion, this is called a cutlet. This is not always added. One thing to be aware of when considering an Asscher cut for a diamond is that the unobstructed view of the diamonds’ center created by the linear facets means that blemishes and inclusions are far more noticeable than in a more brilliant cut. Because of this, you will probably want to consider a clarity grade of VS1 or VS2. While a clarity grade of SI1 or SI2 might be a good option for a Princess cut, inclusions are far more likely to be visible to the naked eye in an Asscher cut at this grade, so you wouldn’t want to go lower than VS1 or VS2. Another consideration to make is the color grade in your Asscher cut diamond. How you make this decision will depend on how much you prefer to see some color in your ring, but if you are hoping for less color, it’s recommended that you not go below color H when choosing your color grade. If you’re hoping to have no color visible at all, it’s recommended that you stick with color D-F, which is fairly colorless, although, because of the demand, will be a pricier choice. The Asscher cut is beautiful in a variety of pieces, but is most commonly used in engagement rings and wedding bands, earring studs, and in bespoke diamond line bracelets. The designs of these pieces vary, and the Asscher cut works well in a variety of settings. For rings, a four prong setting is best for an Asscher cut, allowing the greatest amount of light to enter and reflect off of the diamond. Cathedral and Trellis settings will lift the diamond even higher off the band (or shank) of the ring, and add to this effect. Asscher cut diamonds also look beautiful in bands, especially with a channel setting. This is a great option for wedding bands. One thing to keep in mind when having Asscher cuts set in a ring or in earring studs is that the greater the prong length, the greater risk of the diamond snagging on things. While these higher settings increase brilliance, they also increase danger of getting caught, and thus damaged. As previously mentioned, the Asscher cut will show blemishes more easily than some other, more brilliant, cuts. When considering the setting, there are many settings in which an Asscher cut works beautifully, including halo, micro-pave, solitaire, and three stone. The Asscher cut pairs with all gold types for a one of a kind, vintage look. The Asscher cut is a beautiful, classic diamond cut, that has become a sought after style in the last several years. 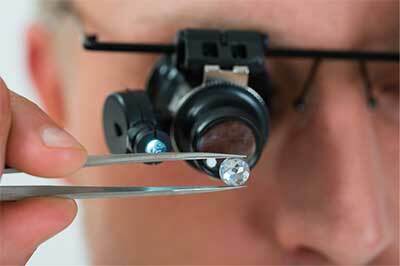 While it is stunning in many different pieces of jewelry, it’s important to know what to look for in order to get the highest quality diamond. Due to its facet design, the Asscher cut is more likely to show inclusions and blemishes, so consider the dimensions, clarity, color and setting as you design your perfect jewelry piece. A great way to be sure of the quality of your diamond is to look for GIA certified diamonds that fit your preferred parameters. If you are looking for a stunning piece of jewelry, whether for yourself or for that special someone, the Asscher cut is definitely a fantastic option, and is sure to turn heads with its unique, Art Deco look and timeless style.